Are you challenged with trying to obtain higher library yields using ever-decreasing input amounts? Each component in the NEBNext Ultra II DNA Library Prep Kit from NEB® has been reformulated, resulting in a several-fold increase in library yield with as little as 500 picograms of input DNA. These advances deliver unprecedented performance, while enabling lower inputs and fewer PCR cycles. 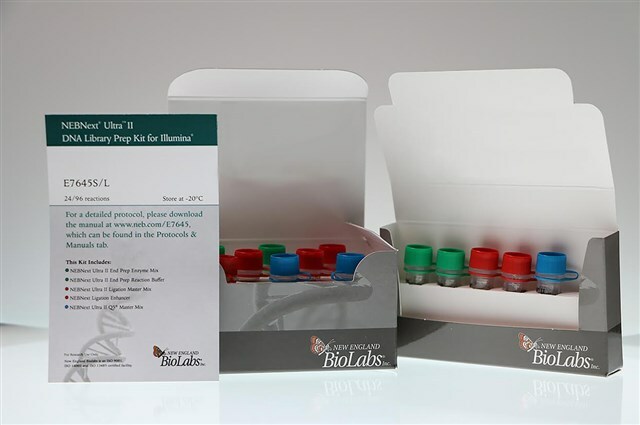 There are no threads in New England Biolabs NEBNext® Ultra™ II Kit Reviews at this time.